In 2016, Murtaza Ahmadi moved the world with his adoration of Lionel Messi. His dream of meeting the footballer came true, but now the seven-year-old boy is living a nightmare, along with thousands of other Afghans. In November, they were forced to flee a Taliban offensive in southeastern Ghazni province. We take a closer look. Reuters reports that the family of an Afghan boy who gained brief Internet fame after being , has been forced to flee his home after a Taliban attack. 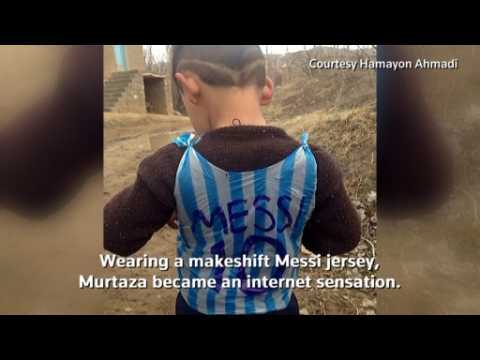 Murtaza Ahmadi, now aged 7, was photographed in a shirt improvised from a plastic bag in the colors of his hero, Argentine soccer idol Lionel Messi. He grabbed world headlines two years ago when his brother made him the shirt out of a blue and white plastic bag. Messi’s name and number 10 playing number were on shirt. Murtaza Ahmadi moved the world with his love for footballer Lionel Messi in 2016. His dream of meeting the Argentinian came true, but now he is living a nightmare as one of thousands of Afghans displaced by war. A young Afghan fan of Argentinian soccer star Lionel Messi has been sent to live with relatives in Pakistan, his family fearing he could be kidnapped after becoming an internet sensation. 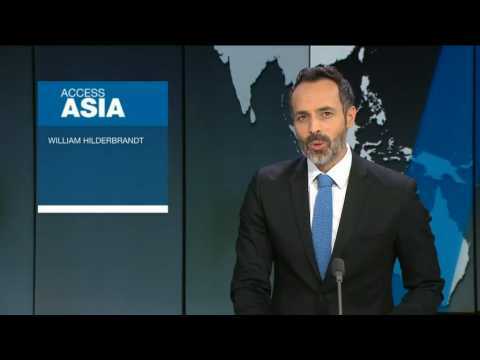 Rough Cut - Subtitled (no reporter narration). A 5-year-old Afghan boy who received autographed shirts from his soccer hero Lionel Messi was forced to leave Afghanistan with his family amid constant telephone threats.The little boy, Murtaza Ahmadi, captured the attention of many when he was photographed wearing a homemade Argentina shirt with No. 10 on the back.The boy’s father, Mohammad Arif Ahmadi, says they have moved to Pakistan and settled in the city of Quetta, hoping for a better life there.Ahmadi was scared his son would be kidnapped after becoming an internet sensation after pictures of him wearing a Messi shirt made out of a striped plastic bag went viral.